Jakaar sits on the eastern shore of Lake Volgoma, at the outlet of a small river named the Felic – north of the mouth of the river Eanor and south of the river Malgomor. The town was established in -11, by one of the first migration waves from Alberetor across the Titans. The town received its name from the black hound that howled on the beach when the first homesteaders were looking for a location to settle. The town sits on an ideal trade route between the High Chieftain’s Karvosti and the Odai capital at the Archbridge to the north, Sevona in the west, and the Ambrian cities on the river Eblis to the south. As a recognition of this economic and strategic value, Queen Korinthia issued a decree in the year 5 AV establishing that there should always exist a Royal Magistrate of Trade stationed in the town. Tensions quickly rose in the town after that, as the original settlers did not take kindly to the royal presence. The original magistrate – Auturo Erebus – was killed by the free settlers, and his wife Mandila took up the role after his death. The town became divided along a physical as well as an ideological line as the free settlers kept to one side of the Felic and the new ambrian trade station grew on the other side of the river. Magistrate Mandila has publicly declared a peaceful and patient approach to the divided situation, and prefers to focus on the growth of the trade station rather than the Felic feud. Ambrian guards and merchants in Jakaar are under orders to not antagonise the free settler half of town, but a strict system of bureaucratic oppression also prevents the non-ambrian half from receiving any benefit from the wealth of trade that passes through Jakaar. Mandila is also not above paying travellers and treasure hunters to cause trouble for the other side. The more she can paint the free settlers as unruly and violent, the easier it will be for her to justify a forceful solution in the future. The leader of the free settler half of Jakaar is Old Man Rogun. He was the leader of the refugee group that founded the town, and the locals still consider him the legitimate authority in Jakaar. To an outsider, it might seem that Rogun has his back up against the wall with the economic warfare that the magistrate wages against his half of the town, but the fact of the matter is that he and his people are doing quite well. They make a good living fishing on Lake Volgoma and trading with Clan Odaiova, and rumors suggest that Rogun maintains good relations with some very powerful people. Although the death of her husband was an unexpected development in her life, Mandila has not allowed it to temper her ambitions. She intends for Jakaar to be declared a Freehold and herself appointed as Princess of the Realm, and she will see that done by building the most crucial trade hub in the realm. If the queen’s ambitions to conquer the forest become reality, an unimaginable amount of wealth will be flowing down the Eanor and Malgomor. No matter how far Ambria extends northward, all roads will lead to Jakaar. But for now, Mandila is quite aware of how provincial her outpost is – and takes any opportunity she can to legitimize her position to outsiders. 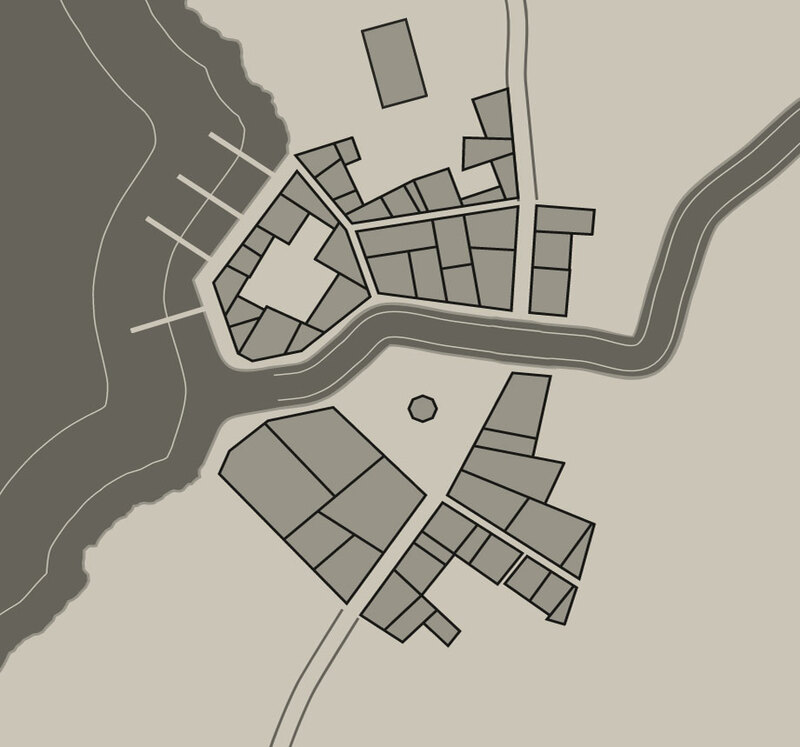 She is keen to offer settlement rights to expand the trade post, and will happily help new Ambrians settle into the town in exchange for a pledge to assist her when the time comes to lay claim to the real estate across the river. Five years after the outbreak of the Great War, the town of Drusia in Alberetor was struck by sickness and famine. Inspired by an oracular vision granted by the Earthmother to a man named Rogun, a thousand men, women, and children uprooted their lives and began a journey to find a new land. For another five years, they led a mostly nomadic lifestyle in the plains south of Davokar, searching for the place that Rogun had seen in his vision. When they were greeted by the black jakaar howling on the shore, they knew they had found the place the Earthmother had prepared for them. It is no wonder then that Rogun and his people have taken so poorly to the intrusion of “the People of Prios” – who have outlawed their beliefs and murdered their faithful kin. Rogun has no patience for Ambrian oppression, but accepts an uneasy peace for the moment. He itches to act against the Ambrian presence while the original settlers still outnumber the population of the trade post, but he has been cautioned to stay his hand by none other than Duke Junio of Narugor. Junio Berakka would rather see Jakaar incorporated into his duchy than established as a freehold, and if that happens he could safeguard the lives and traditions of Rogun’s people. Rogun is willing to wait, for now. With all the trade and travel passing through Jakaar, it is inevitable that certain criminal elements would take root in the town. Among all the fences in the outpost, Candel is likely the one that characters will hear about first if they ask around. Candel is one of the few figures who can come and go unaccosted on both sides of the river, and has connections in most ambrian cities. 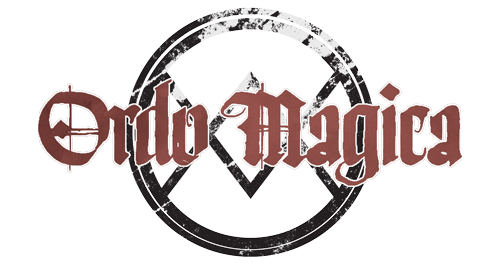 Candel is what one might call an “independent agent” – maintaining memberships in several thieves’ guilds as well as good standing with the Queen’s Agents of the Royal Secretorium. His trade gives him access to unique information and intriguing items, and his silver tongue opens the doors to halls where those things are most valuable to trade. He is a man who deals in favors and intelligence, who considers no secret to be sacred. Jakaar is well-situated to serve as a base for adventurers who don’t want to pay the tolls and overpriced services of Thistle Hold. Sikandero himself is an independent sellsword who has built an impressive resumé as a capable monster slayer. He is a known figure from Kurun to Karvosti and both dukes and chieftains can vouch for his talent. The fact that he is missing an arm and an eye and is well past the prime of his life has done little to slow him down and only reinforces his legend. It looks like Candel’s name changed from the first to the second paragraph of his description. Oops! You’re right. He was originally Tandel in my game but his name is similar to some other official NPCs so I changed it for this.